It's been an exciting year - and super busy! 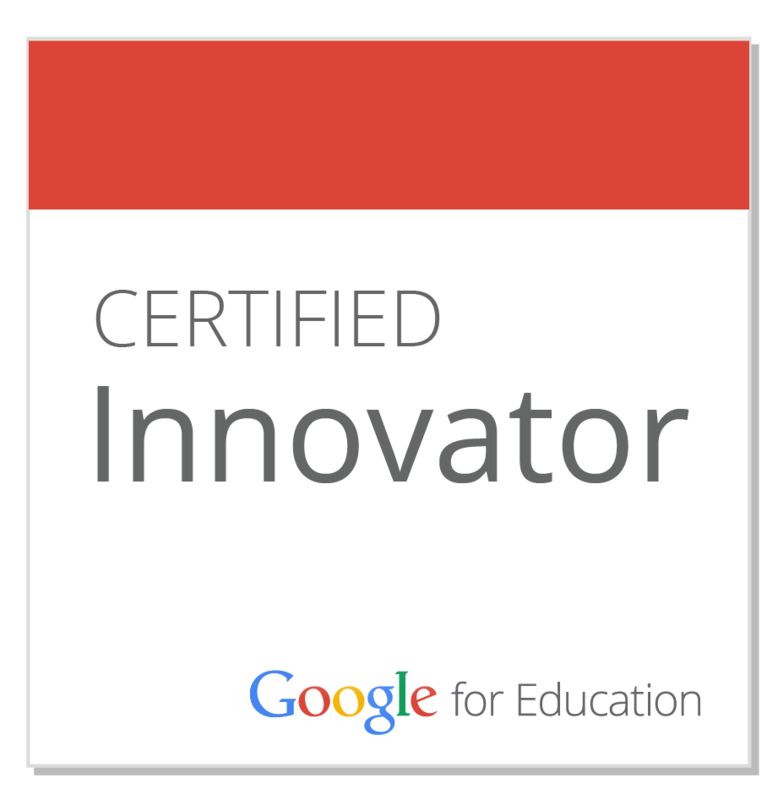 It was my first year in a new role - leading technology and digital innovation as the Chief Technology Officer for a new school district on the north side of Chicago. Aaaannndd... my book was published! Hooray! It's been great to be able to write a full-length book so I could share ideas that were too big to fit into a single blog post. It has also been humbling to see how fellow educators around the world have been responding to and implementing the ideas I wrote. I also have been getting used to the idea of book signings. I'm horrible at multi-tasking - I can't read and have the TV on, I can't count and chat at the same time, and I canNOT sign books and talk. It's been a learning curve to remember how to spell my name while getting to know educators I meet at events. A fun learning curve :). Speaking of book signings, LEAP Innovations graciously reached out to me to host a Book Signing and Fireside chat just in time for the holidays! The event itself is free and there will be books on sale at the event (or you could buy your own and bring it with you). 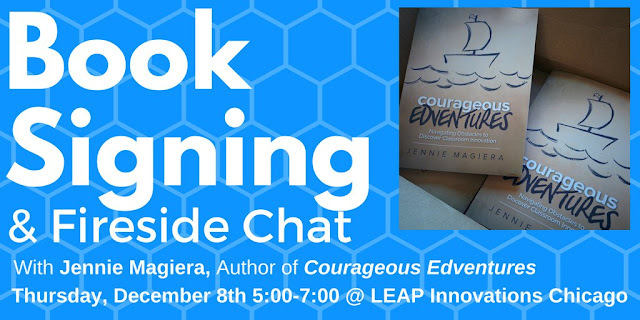 If you're in the Chicago area on Thursday, December 8th, 5:00pm-7:00pm, please consider joining me to chat education, innovation and creating positive change for our students. 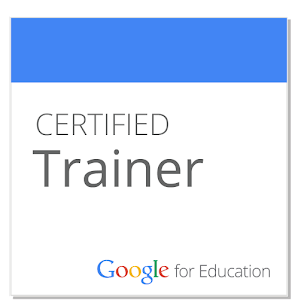 If you're interested, click here to learn more and register! Hooray! My book is now available for Pre-Sale! I'm so excited! I got home to a note that my book, Courageous Edventures, is now available for Pre-Sale! Click here to get a copy :)! The early innovators are out innovating, but what about the many who hope to follow on their own adventure? These educators often feel the pull, but hesitate due to the obstacles along the way. This book charts a course to identify and navigate around those obstacles so everyone can find the courage to journey into the limitless possibilities of the unknown -- and discover their own version of classroom innovation. Whether you have a device in the hands of every student, nothing but a laptop and projector, or you’re simply looking towards the future, this book is your partner in inspiration and “I can do this” ideas. As a classroom teacher, I rarely found time to sit down and read long professional texts. Keeping this in mind, I’ve filled this book with images, diagrams, real lesson plans and resources that you can download for use immediately. Moreover, the format of the book is set up so you can use it as a quick reference to solve certain problems or follow it as a step-by-step pathway to transform your classroom. As you embark on your expedition towards the great unknown of Innovation Isle, I hope this book will be your atlas and your companion. This book is organized into four sections: Part 1: “Charting Your Course”, Part 2: “Navigating Your Problems”, Part 3: “Sailing into the Great Beyond” and Part 4: “Reflecting on Your Edventure”. The chapters are organized in a way that chronologically steers each step of your innovation odyssey but it’s also set up so that you can also simply pick it up, find what you need and dig in right away. 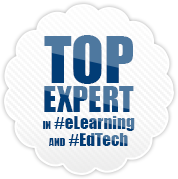 Breaks down actual classroom problems of practice in the areas of Assessment, Differentiation, Planning and Parent Communication to focus digital transformation in strong classroom instruction and practice. Update: You can now sign up for pre-sale notifications! Update on Courageous Edventures: Wow Corwin is fast! They already created a flyer and have a link for you to sign up to be notified when pre-sales for my book go live! 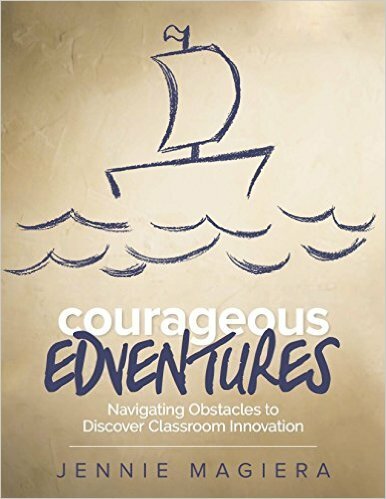 Courageous Edventures: I Wrote a Book! Hi everyone! 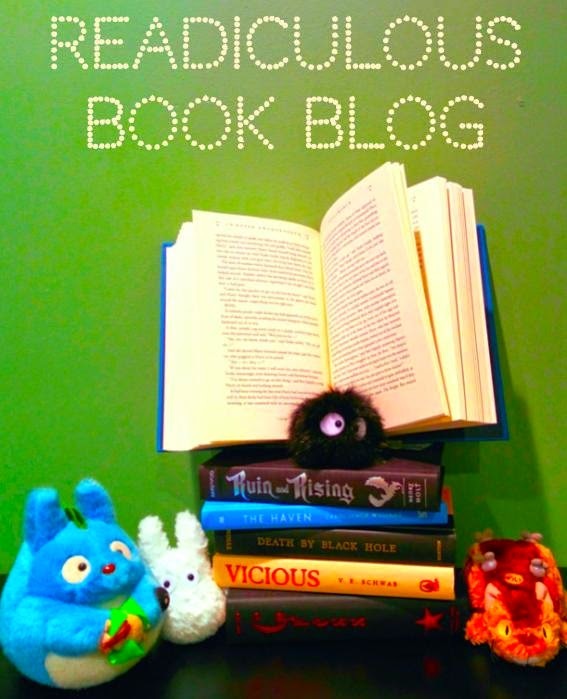 I'm so sorry it's been FOREVER since I've written a blog post. I have a good reason though... I wrote a book! (I think you probably got that from the title.) After years of blogging here, sharing stories via conferences and a TEDx, Corwin Press gave me the amazing opportunity to compile all of those tales and tips into something a bit more substantial. Dreaming up a concept, doing the writing and going through hours of revision has been a definite edventure in and of itself. I didn't want to share the news afraid I'd jinx myself. However, today the cover was approved and my editor gave me the green light to begin sharing! 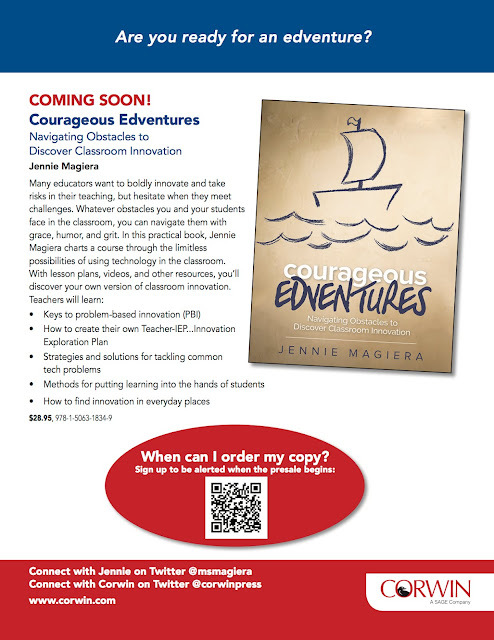 The book is called Courageous Edventures. Below is a brief description of the content. As it goes through peer reviews, revisions and iterations, I hope to begin sharing more here about the process. The tentative release date is late summer / early fall of this year. Please stay tuned for more updates, as I will publish them here! Thanks for all of your support, friends!